In some ways, family fall getaways can be more enjoyable than a long summer vacation, since there is less planning and packing involved, and it’s easy to inexpensively fill a few days with a steady stream of exciting activities. Looking for fall vacation ideas? 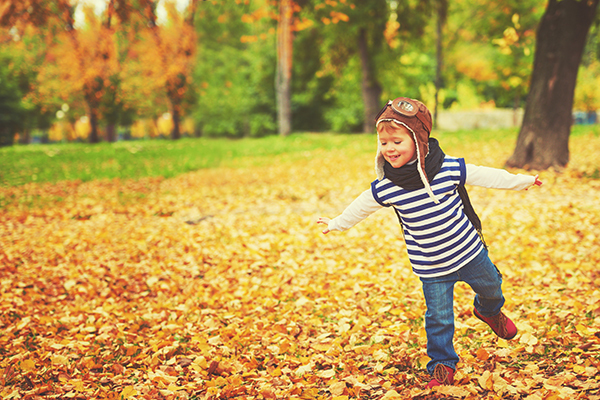 Ease the back-to-school transition and keep the kids’ spirits up by planning a family fall getaway. As you plan your weekend, start by thinking about what kinds of activities your family enjoys most and what will keep your kids happiest throughout the weekend, Then, match your family’s interests and location with our corresponding fall vacation destinations. If your family couldn’t get enough of the beach this summer or somehow the summer escaped you and you never made it there, the best family vacation in September (or even October) can be a trip to the beach. Many shore resorts offer steep discounts after Labor Day, and frequently, restaurants and attractions are open well into September and even into October. In the fall, you’ll avoid the scorching sun, but temperatures can still be warm enough to enjoy fall beach destinations, making sandcastles, walking sandbars, collecting seashells, and in some areas, surfing. With its beautiful ocean, beaches and gentle bayside, Cape Cod is the obvious choice for a family fall getaway at the beach. If you’ve never been to the National Seashore in slightly cooler temperatures, don’t miss out — it’s an unbelievably refreshing experience. The Jersey Shore is still quite enjoyable in September and early October, and the quaint town of Cape May is the perfect fall vacation destination for families looking for a few days at the beach. In addition to the wide-open, soft-sand beaches, families will enjoy the abundance of nearby family activities, such as playing mini-golf, taking a family surrey ride, visiting the Cape May County Park and Zoo, exploring the Nature Center of Cape May and shopping in town at toy and ice cream shops. Golden sunsets and majestic beaches make the Golden Isles long-time favorites, frequently included on lists of America’s best islands. Perfect for a family fall getaway, you’ll also enjoy kayaking, biking and tennis, along with nature activities such as dolphin watching and sea turtle walks. St. Simons, Little St. Simons and Sea Island are the most popular islands to visit, but you may also enjoy Jekyll Island, home to the Summer Waves Water Park. With sugar-sand beaches, towering dunes and Caribbean blue water, you’ll feel like you’re on vacation at the ocean without having left the Midwest in Traverse City. In many ways it’s the same, but with a freshwater twist! Traverse City is also a big foodie destination, with many breweries and wineries on tap. Where to Go in the West: Santa Cruz, Calif. The all around natural beauty of Santa Cruz makes it the perfect place for a three-day fall family getaway at the beach. 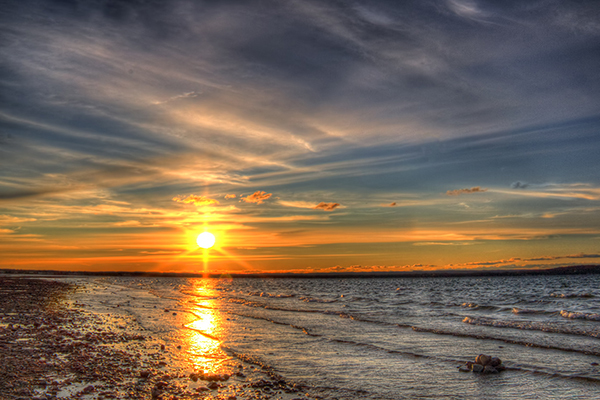 With an average of 300 days of sunshine a year, the odds are that you’ll have a beautiful weekend. For a break from the sun, visit the Monterey Bay Aquarium, enjoy eating out in downtown Santa Cruz, and don’t miss the universally enjoyed Mystery Spot. From the West Coast to the East, fall is a wonderful time for biking and hiking in the mountains while enjoying beautiful fall foliage. In fall, you won’t be as bothered by the black flies, and the cool, crisp air is perfect for bike rides over rugged mountain trails and long hikes to mountain summits, where you’ll be rewarded with breathtaking views of colorful leaves. Although New England mountains may be enjoyed throughout the fall, if you’re traveling in early October, there’s nothing as beautiful as the mountain peaks you’ll see while driving on Route 302 in New Hampshire’s White Mountains. Families will enjoy hiking a portion of the Appalachian Trail and taking the COG railway to the top of the 6,288-foot mountain, where — in addition to spectacular views == you’ll find a museum and gift shop. Teens will particularly enjoy Bretton Woods Ski Area’s Canopy Tour, including nine ziplines with some up to 830 feet long. Just a short drive from New York and Philadelphia, the Poconos is a popular and affordable three-day fall vacation destination for families living in the Mid-Atlantic. In the Poconos, families will particularly enjoy outdoor adventures such as hiking, biking, rafting, canoeing and more. Enjoy spectacular mountain views, comfortable temperatures and endless outdoor family fun along the Blue Ridge Parkway in the Smoky Mountains. From hiking in caverns to ziplines and waterfalls, you’ll be hard-pressed to choose what you’d rather do. 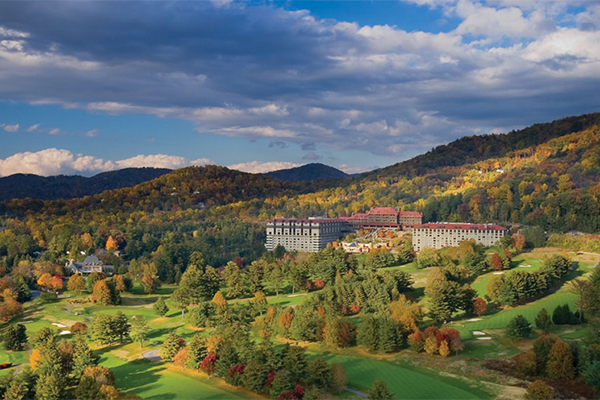 In the evenings, enjoy street performers and the Appalachian Craft Center in the city of Asheville. And for the brave, don’t miss Sliding Rock, where 11,000 gallons of water flow per minute over a 60-foot rock into a six-foot-deep pool of clear water! The Lake of the Ozarks is one of the Midwest’s premiere family fall vacation destinations. Located about 160 miles from Kansas City and 130 miles from St. Louis, the lake is smack dab in the middle of The Show-Me State. Although you may still be able to enjoy the lake during the fall, the nearby Lake of the Ozarks State Park will invite families to enjoy hiking and biking, and you won’t want to miss exploring one of the many awe-inspiring caves. The legendary beauty and mystery of Lake Tahoe can be enjoyed anytime of year, but in the fall your family may particularly enjoy taking a long hike followed by a soothing soak in a bubbling hot tub. What’s nice about Lake Tahoe is that in addition to the usual hiking and biking, you’ll find a long and varied list of family activities to enjoy. If your family loves amusements and entertainment, the cooler temperatures in fall can make it the perfect time of year to enjoy theme parks, and for families with younger children, little ones love the apple picking and pumpkin painting you’re likely to find at fall family festivals occurring in many areas of the country in the fall. 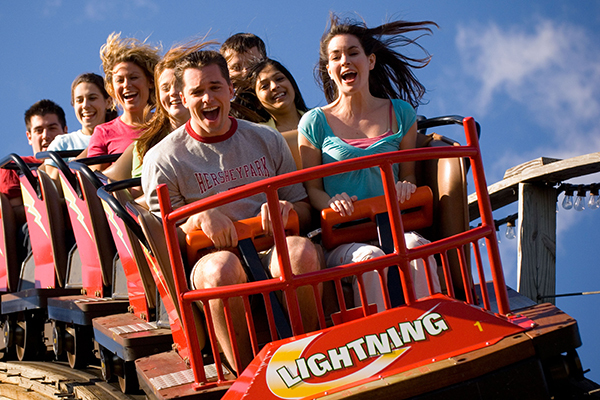 Although you’ll find an impressive Six Flags amusement park in Agawam, Massachusetts, in the fall your family may prefer to vacation in the picturesque rolling hills of the Berskshires, where you’ll enjoy the colorful foliage, and tons of outdoor adventure and aerial activities at Jiminy Peak Resort. From wee ones to grandparents, the whole family is sure to be entertained in the Berkshires, one of our favorite fall vacations for families. Hershey, Pennsylvania, makes a sweet three-day fall vacation for families, full of amusements and entertainment. Offering a full spectrum of rides from kiddie to thriller (think Sooperdooperlooper), Hersheypark is fun for all ages and sizes of children. And there are plenty of options for quieter activities, such as Hershey’s Chocolate World and The Hershey Story, when the kids get too dizzy or just need a change of pace. Although Williamsburg, Virginia, is known for its 301-acre living history museum, it is actually in close proximity to two fabulous amusement parks: Busch Gardens and Water Country USA. At Busch Gardens, you’ll find a winning combination of thrill rides, animals, faux European villages and well-tended landscaping, making it a superb family park that has earned quite a few “Most Beautiful Theme Park” awards over the last 20-plus years. If it’s particularly hot during your stay, head over to Water Country USA, where kids can cool off on over 30 get-wet attractions, offering fun choices for all ages. Located in the rolling landscape shared with Arkansas’ Ozarks, Branson is as wholesome and family-friendly as they come. Families flock to Branson for its wide variety of entertainment options, including more than a dozen museums, four theme parks, numerous outdoor activities, shopping and restaurants. If your family loves thrills, you’ll find more than enough entertainment for a fall family getaway at Silver Dollar City, where the offerings include traditional amusement rides, as well as water rides, train rides, horse rides, haunted mansions and creepy caves! In addition, in September and October, the National Harvest Festival takes place and is considered the country’s premiere showcase of American Craft artisans. Oftentimes, families find it’s too much to visit Universal Studios Hollywood at the same time they’re visiting Disneyland, but it makes the perfect fall vacation for families if you’re willing to pack it all in. Although the park is best for kids who are elementary-aged and older, there are offerings for children of all ages, including an indoor zone with thousands of foam balls to toss, live shows, 3-D and 4-D movies, thrilling rides and a behind-the-scenes studio tour — not to mention The Wizarding World of Harry Potter! For families with an interest in historical landmarks and educational sightseeing, take advantage of the many family-oriented hotel deals and packages you’ll find in popular historical cities, and fall’s more temperate climate that makes for perfect outdoor walking tours and sightseeing. For families with tiny tots, consider visiting a city with a spectacular zoo, aquarium or children’s museum. Head to fabulously kid-friendly Boston, where both history and fun activities abound. Start at Boston Common, where you’ll find bronzed statues of the ducks from “Make Way for Ducklings,” and ride the foot-paddled swan boats. Follow the Freedom Trail and learn a bit of history as it takes you through the city on the red-brick path. If the weather turns, enjoy the outstanding Boston Children’s Museum, the Museum of Science, the New England Aquarium, and Quincy Market. 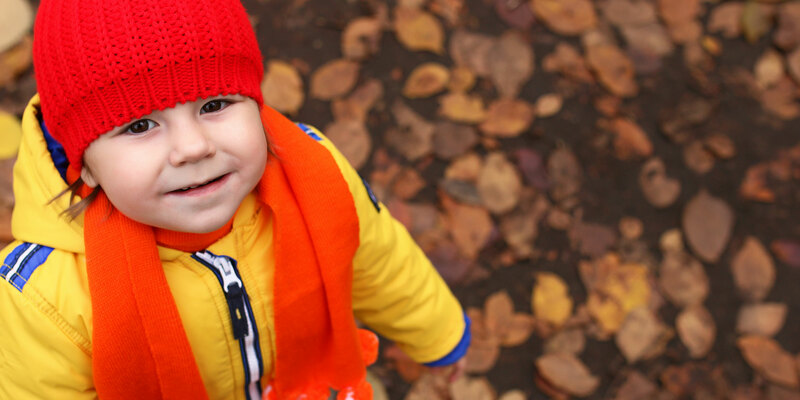 Philadelphia, the birthplace of our nation, is a perfect destination for a fall family getaway. In fall, you’ll enjoy the cool, crisp autumn air while taking a walking tour of the historic district, where you’ll see famous historic attractions such as the Liberty Bell, Independence Hall and Betsy Ross’s House. Other can’t-miss experiences: the new Rail Park, The Franklin Institute, Please Touch Museum, and — especially for teens — Elfreth’s Alley (the oldest residential street in the U.S. and the most Instagrammable spot in Philly). Charleston is a southern city steeped in history and good old-fashioned southern charm. Families will enjoy the guided fort tours, Civil War exhibits and a Maritime Museum, but especially for families with younger children, it may be hard to pass up at least a walk on the nearby soft-sand beaches: Folly Beach, Kiawah Island, and the Isle of Palms. Perhaps most widely known for the towering Gateway Arch, St. Louis is a city filled with American history and culture. Families will enjoy actually riding up to the top of the 630-foot arch for a spectacular view of the city and the Mississippi River, as well as visiting the History Museum, Science Center, and Children’s Museum. For a break from indoor sightseeing, head to the world-class St. Louis Zoo, City Garden, or the Missouri Botannical Gardens, where there is a special children’s garden. History buffs will love visiting Old Town San Diego, where the Golden Coast first came to life. Here, you’ll witness the living history of San Diego and enjoy free tours of many of the historic buildings. Kids will especially enjoy seeing a rare original stagecoach at the Wells Fargo Museum, The Whaley House (believed by many to be the most haunted house in America) and the Sheriff’s Museum. When your appetite beckons, enjoy fabulous authentic and cultural Mexican cuisine at one of the many restaurants located within a 1-mile radius. Younger children will particularly enjoy the attractions in nearby Balboa Park — the largest cultural park in the country — such as the San Diego Zoo and the Miniature Train.